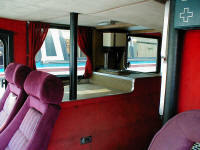 Please let us know .. 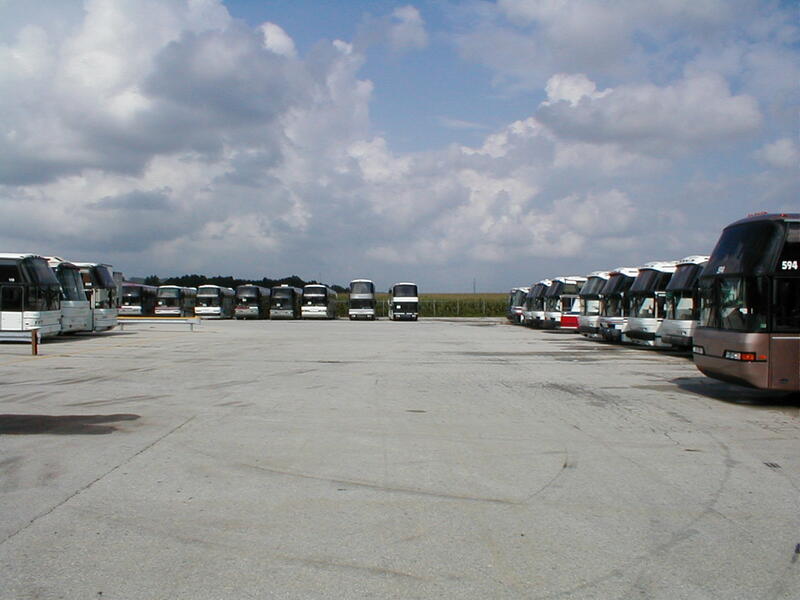 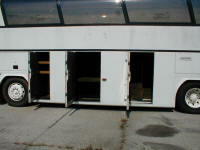 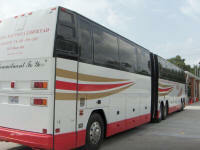 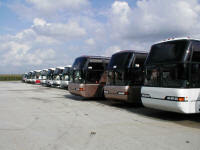 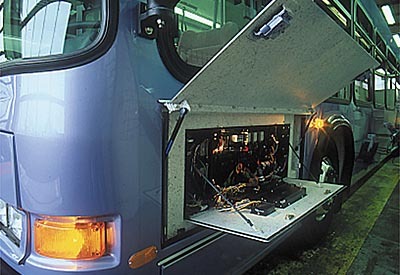 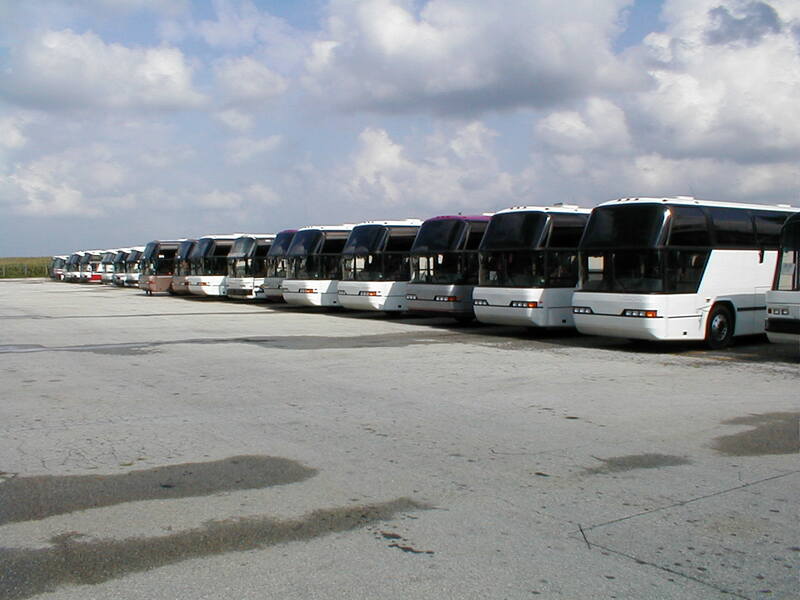 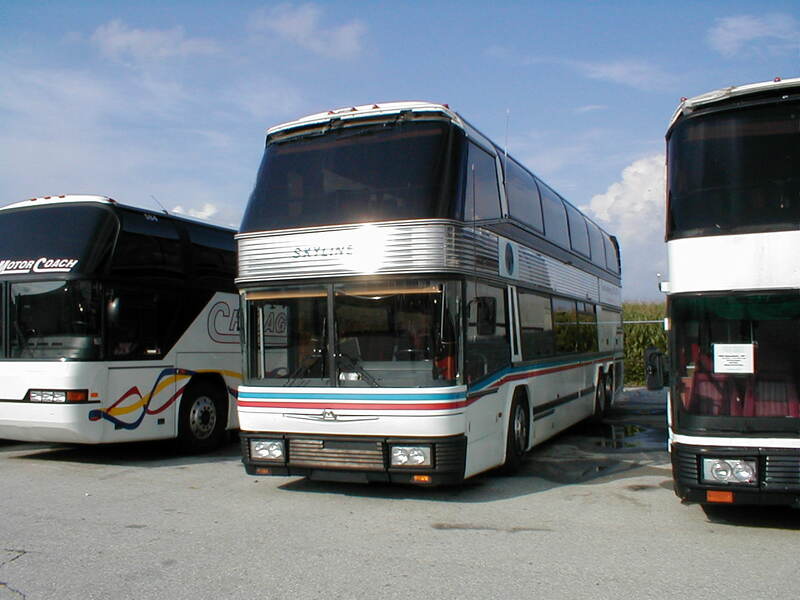 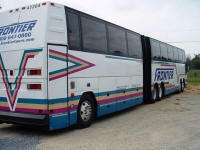 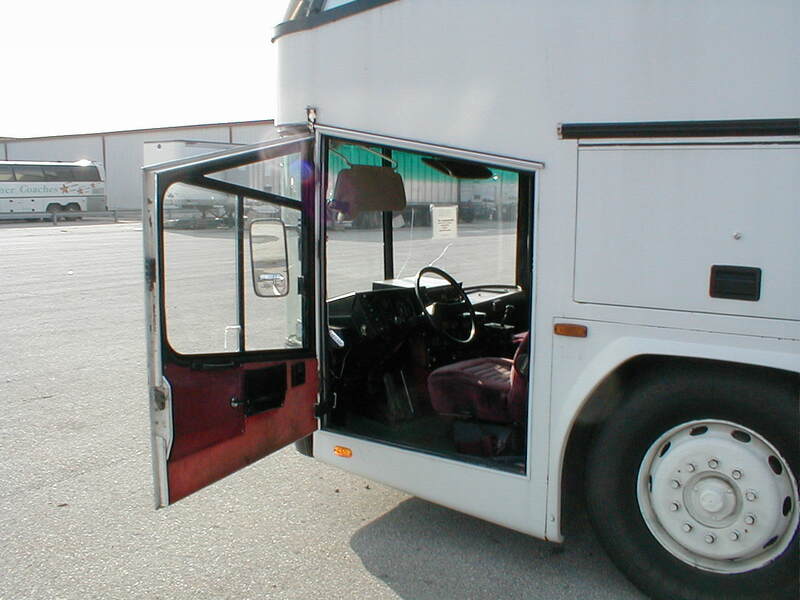 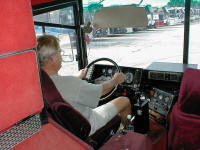 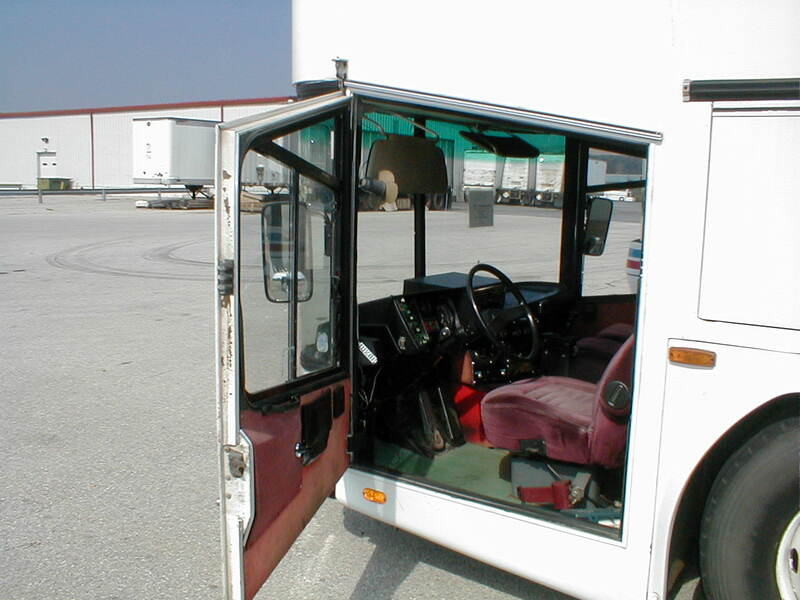 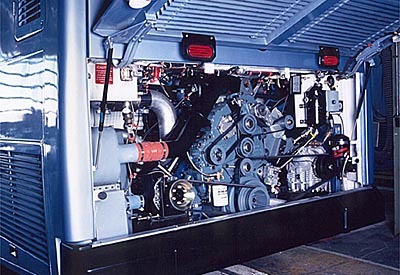 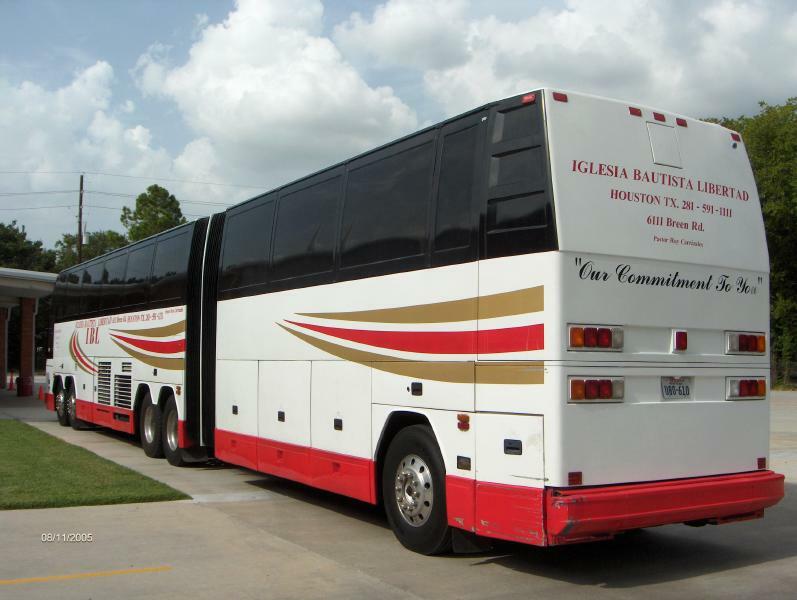 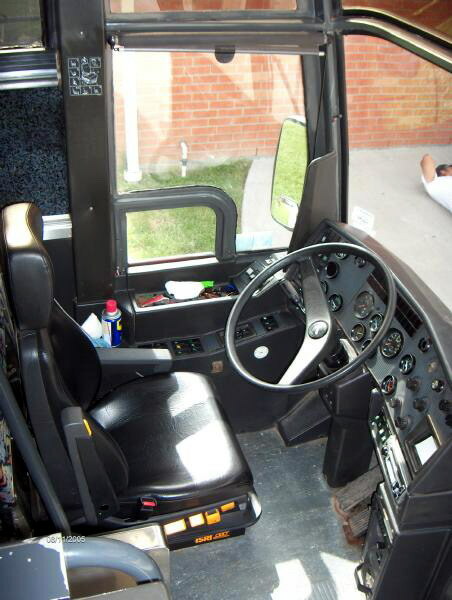 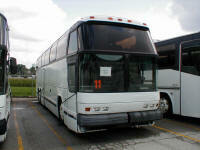 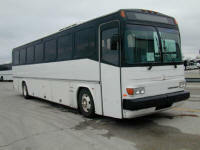 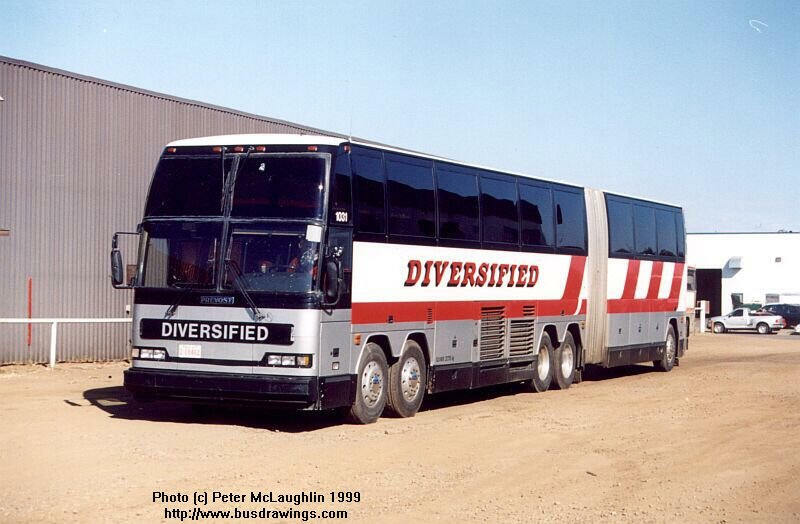 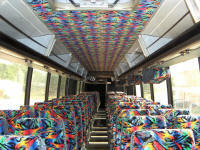 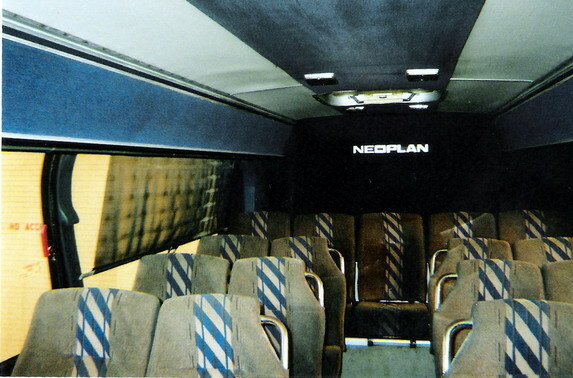 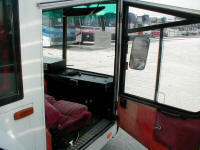 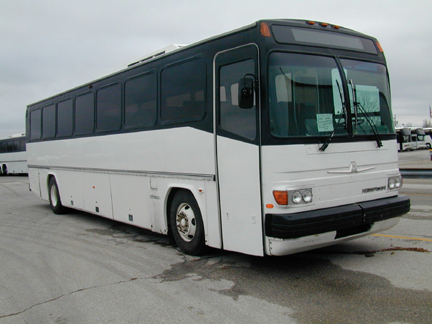 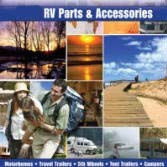 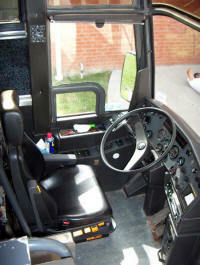 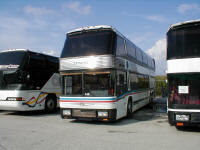 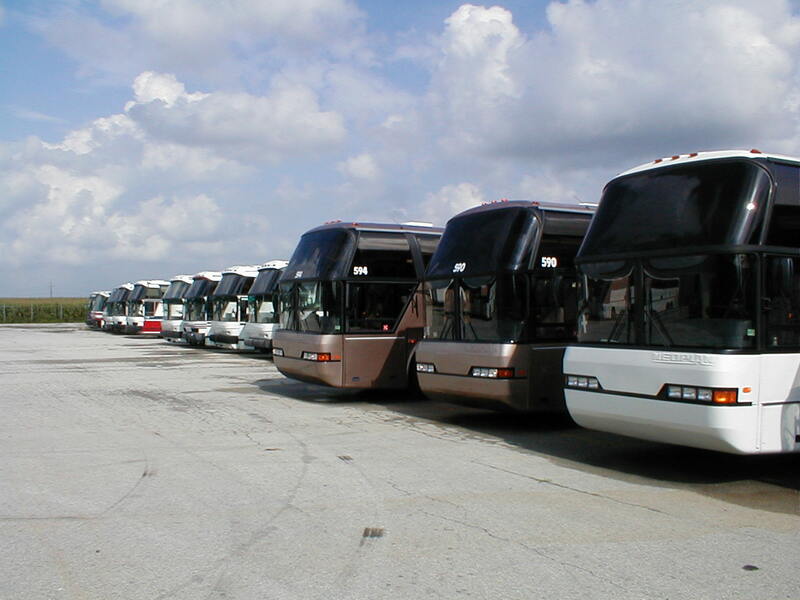 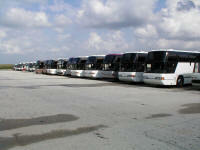 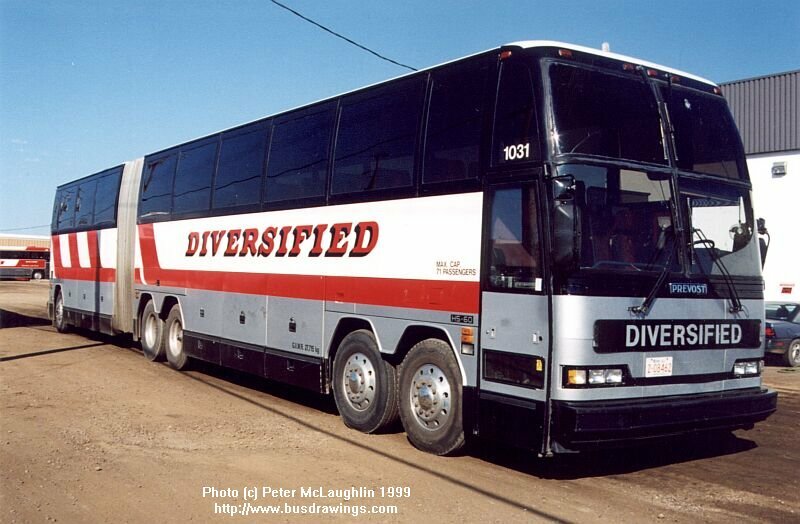 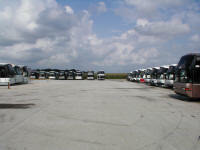 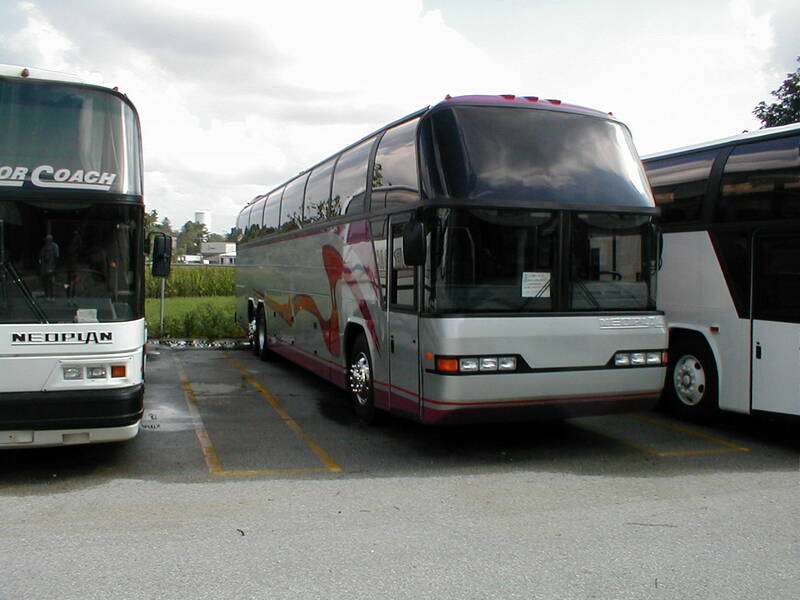 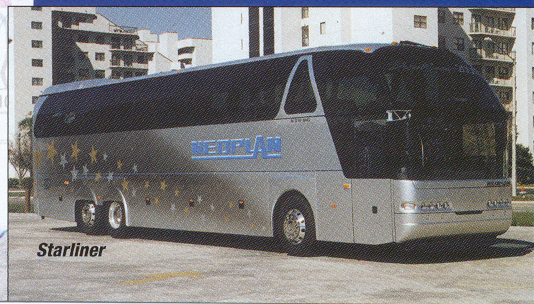 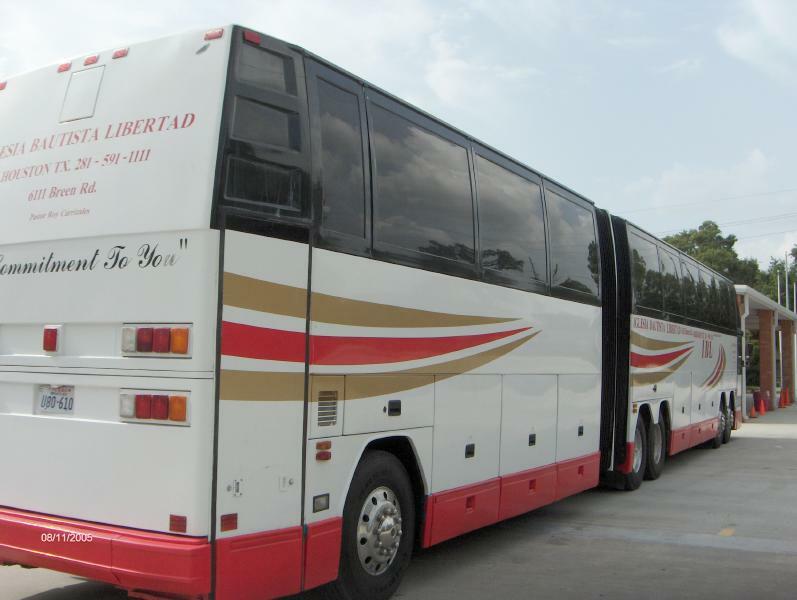 Since Neoplan America closed a few years ago .. 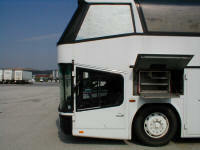 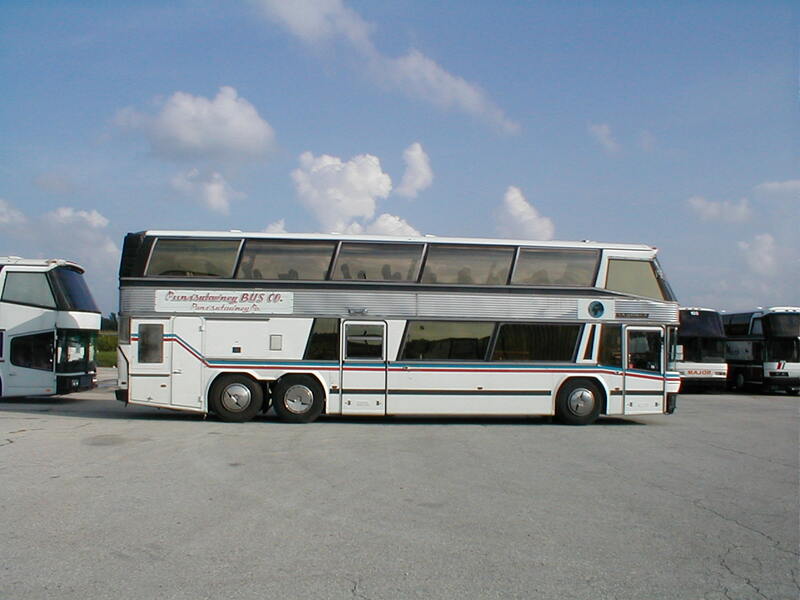 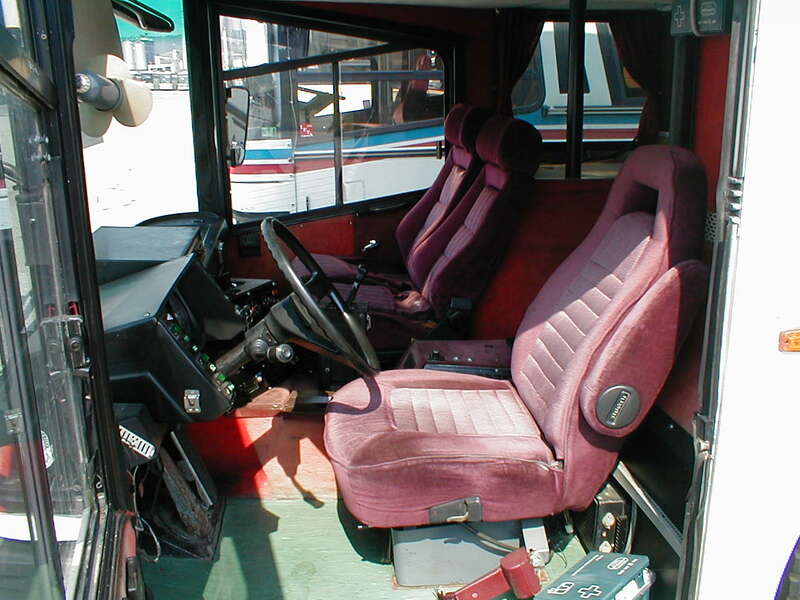 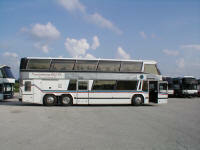 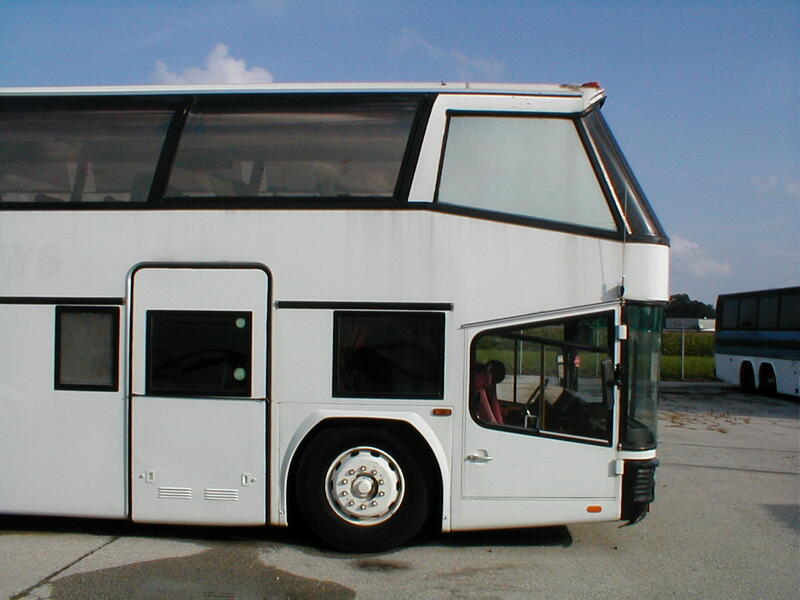 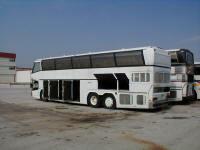 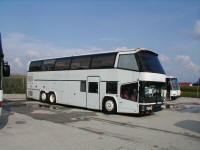 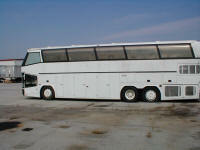 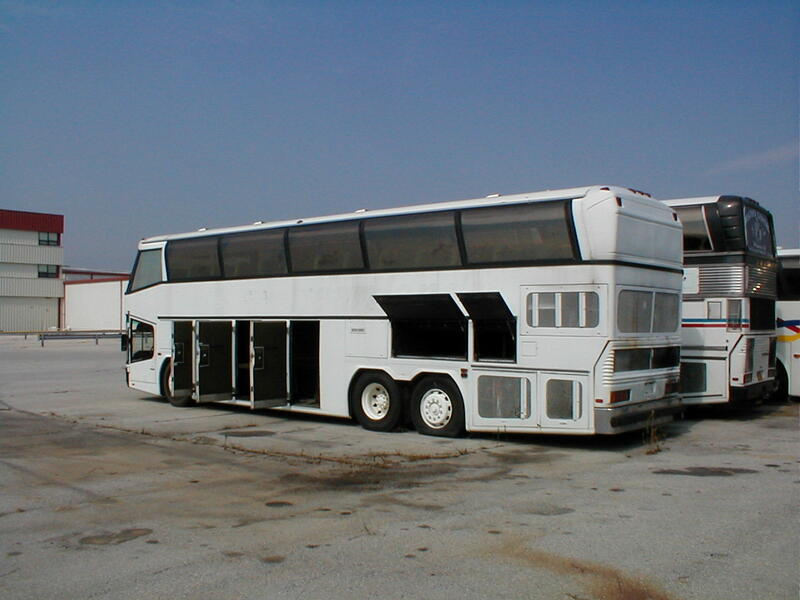 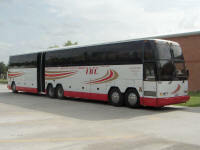 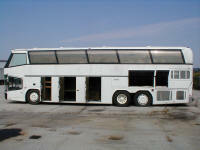 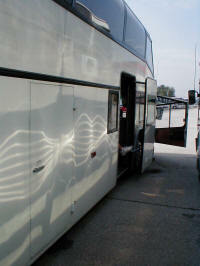 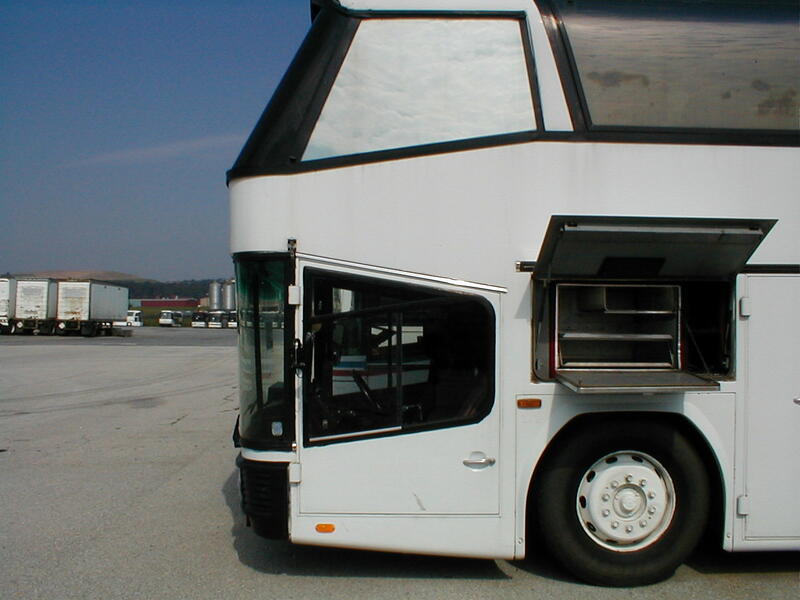 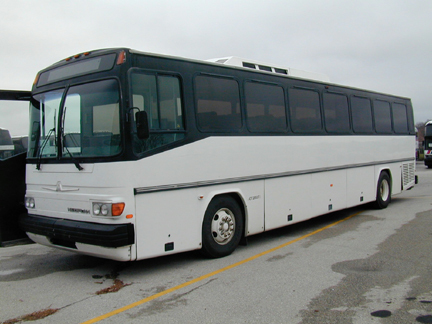 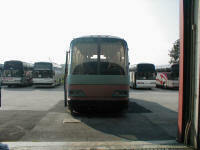 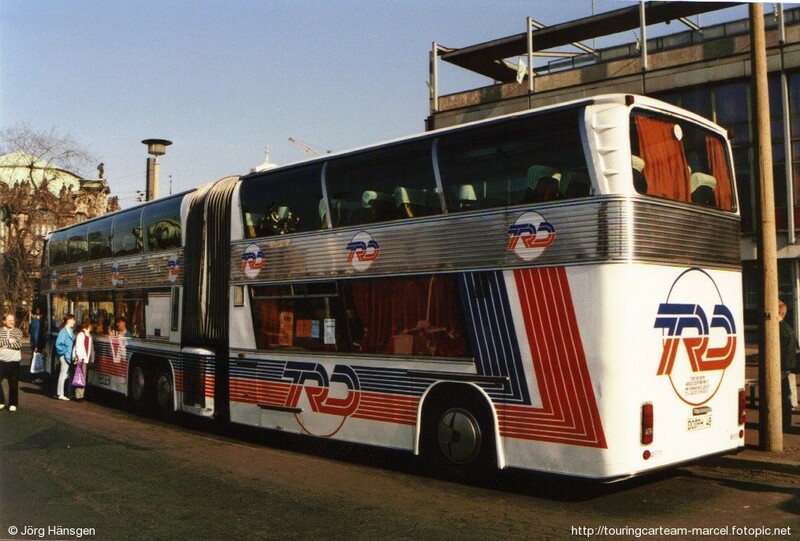 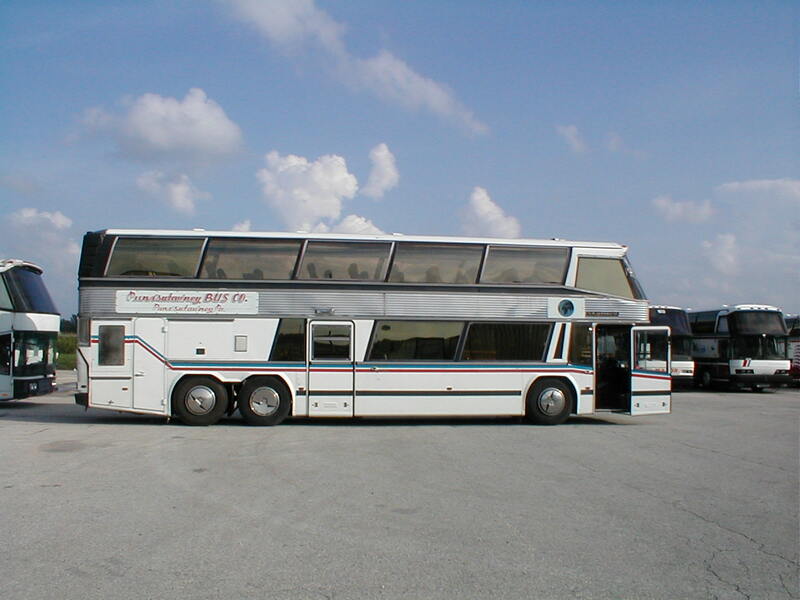 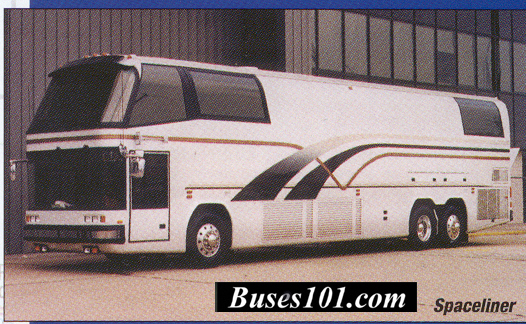 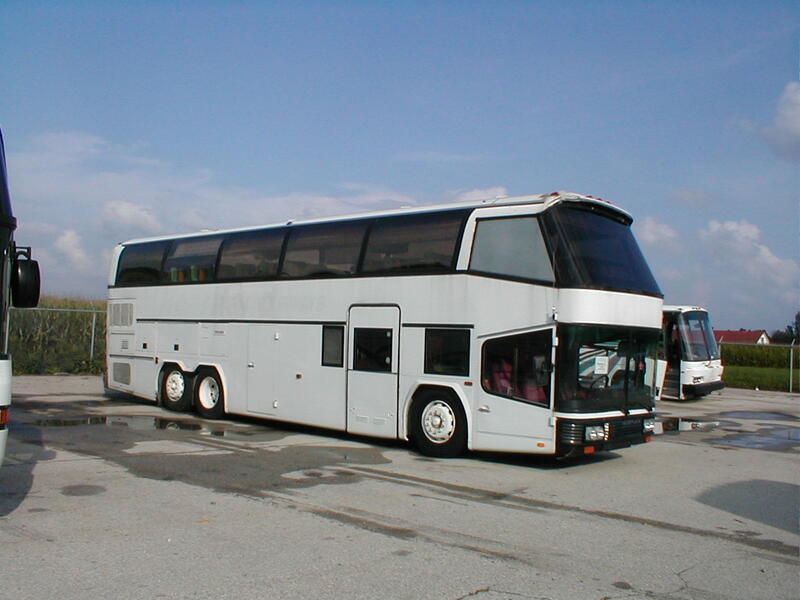 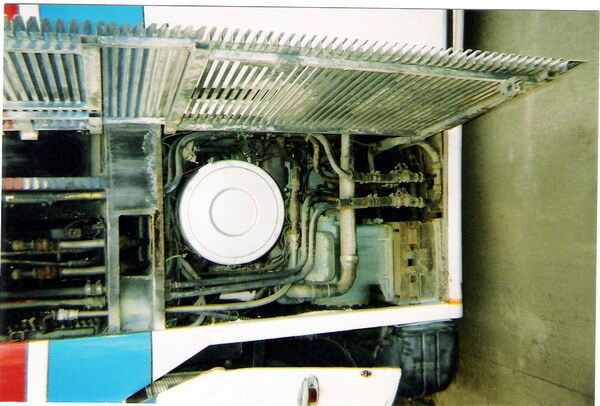 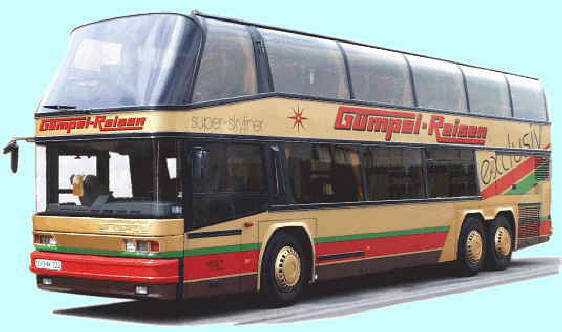 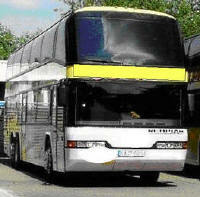 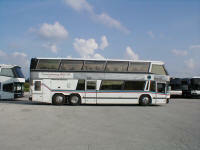 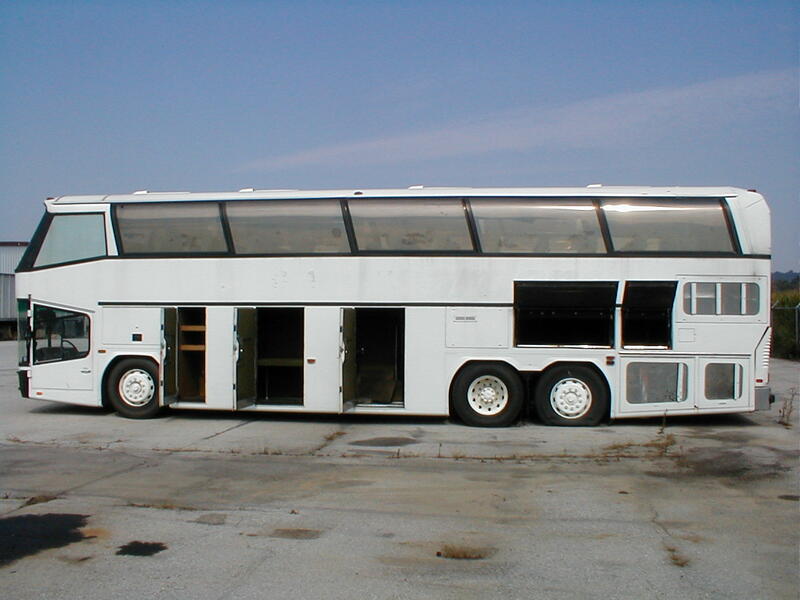 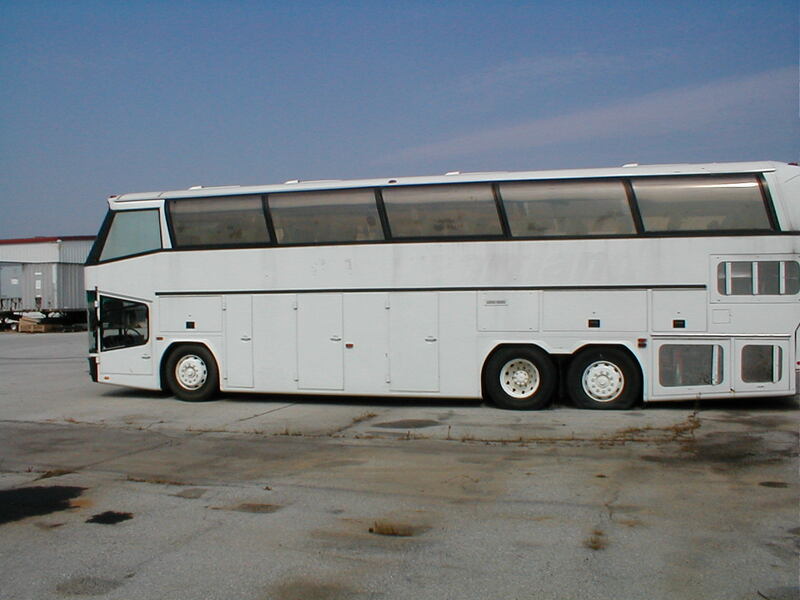 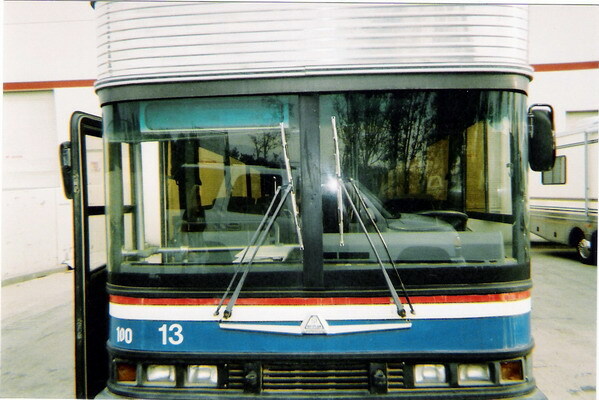 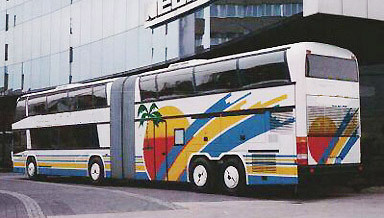 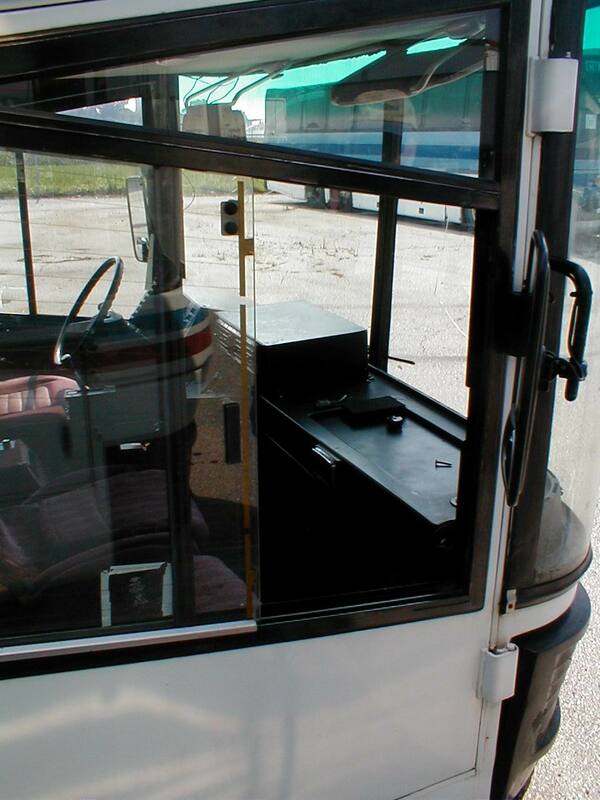 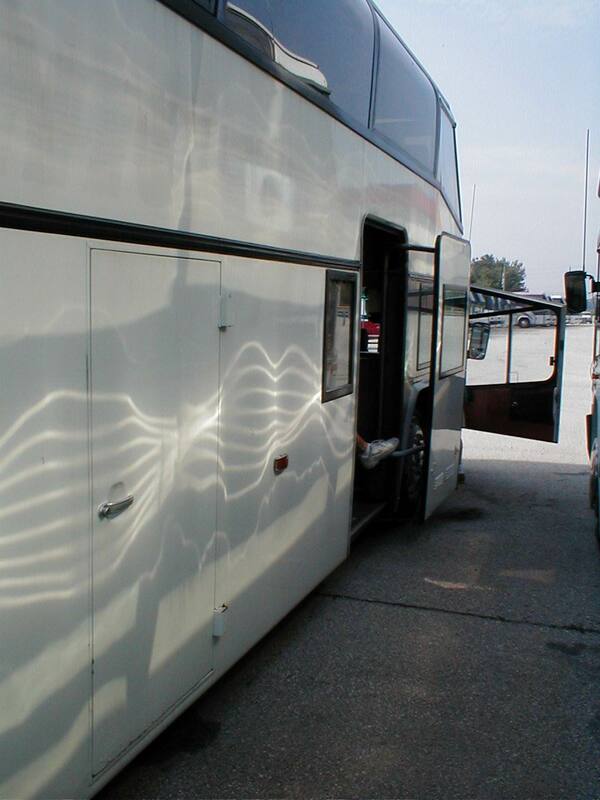 This is the Neoplan Skyliner the true double Decker. 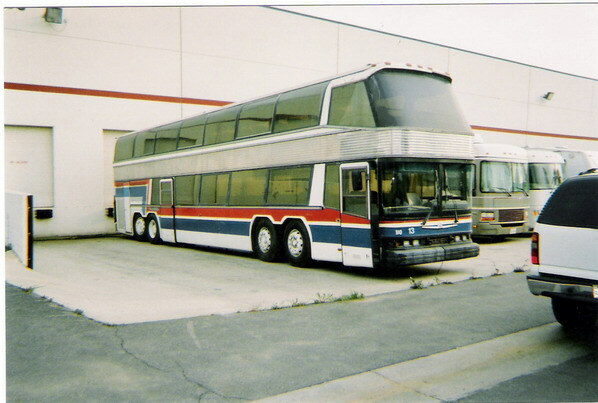 Not made in the USA ! 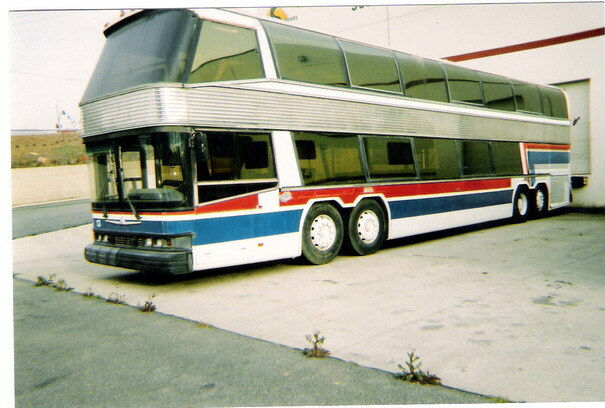 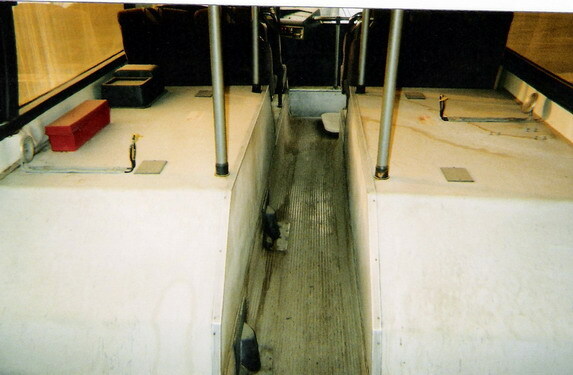 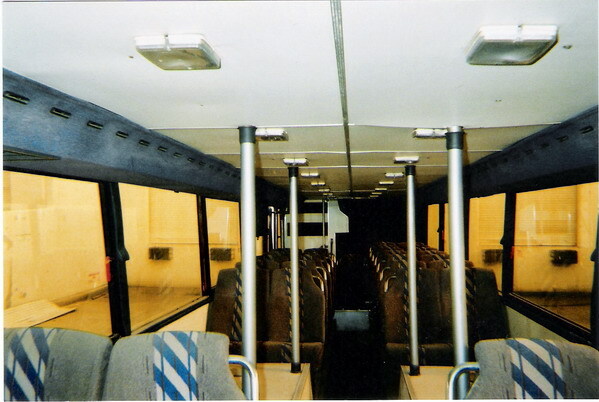 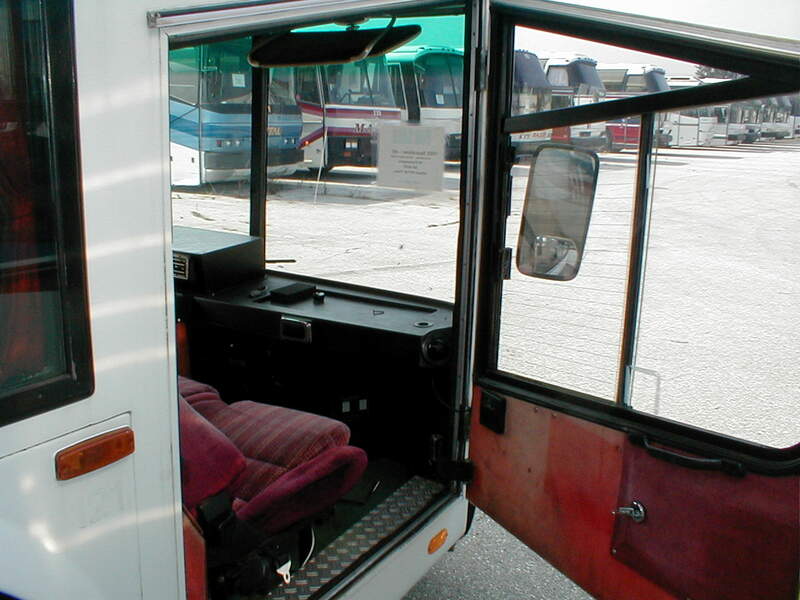 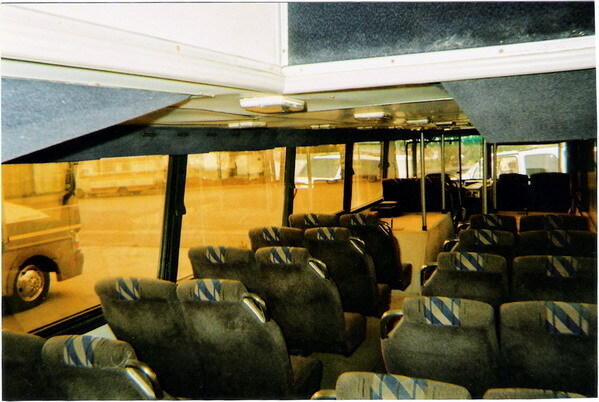 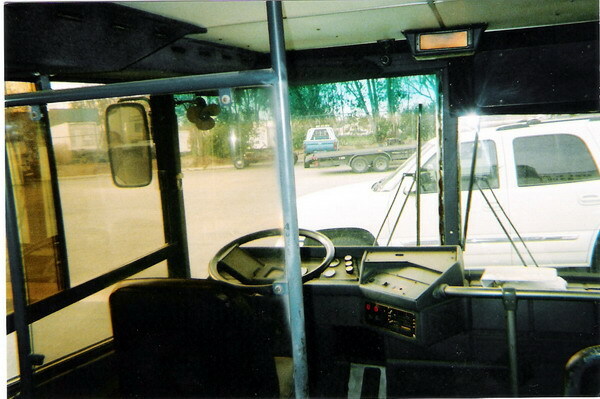 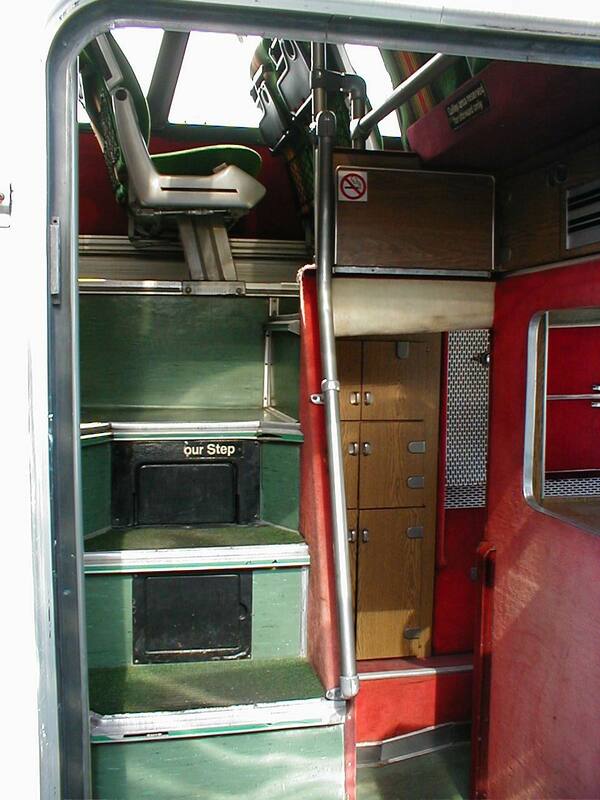 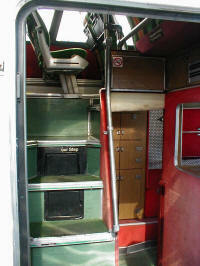 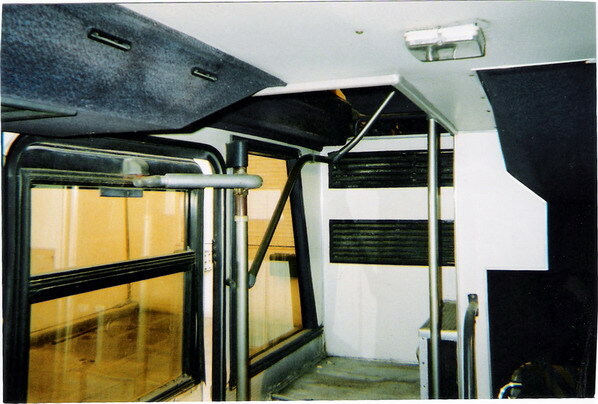 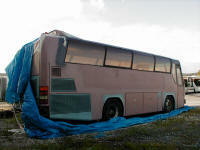 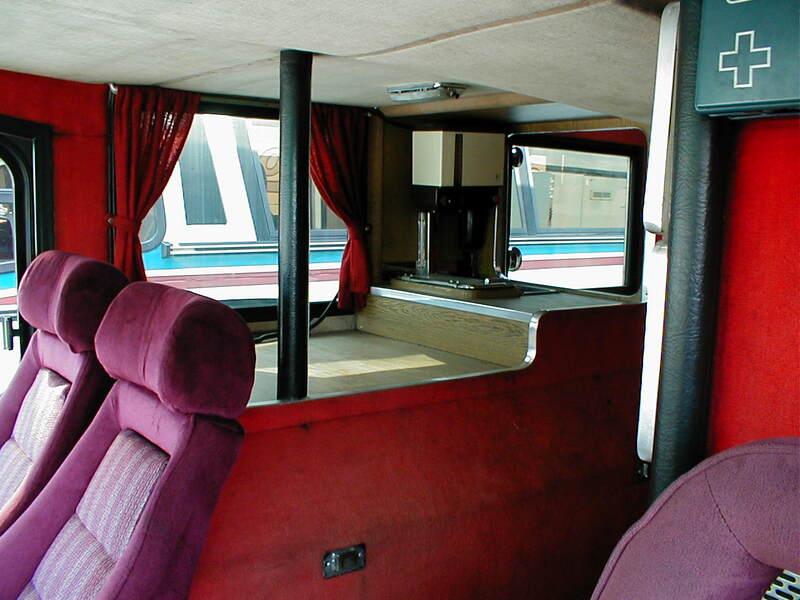 Information about the famous "Space Liner "
This is a very unique bus and we are trying to find more now ..
"The driver steps out at street level .."
Popular with Entertainer Coaches with private drivers ..will seat 3 in front next to driver all sit right behind the windshield at car height ..
Driver steps out at street level just like a car ..